Thanks to Habib Ghulamsakhi, who started his business next to the university in 2015, Vienna now has world-class, beautiful coffee. The university might have been a hint already: it’s very pretty, very good quality coffee with a concern to global fairness… yet not expensive at all! 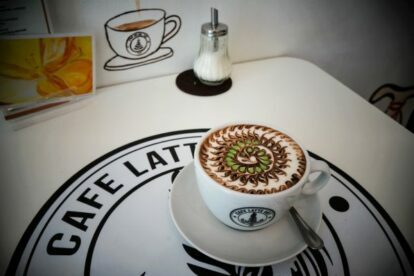 What’s even more special than the coffee art Habib is creating, is his social awareness; in other words, the products at Café Latte Art are being packed by people who work at Lebenshilfe, an association where people with all kinds of disabilities work. PS: They offer workshops if you want to learn how to create coffee art yourself.